In Australia to call a mattress a latex mattress it only needs to have 30% latex in it. This means that often an inferior latex mattress will initially feel similar to one containing 100% latex. However, the process used to produce an inferior mattress results in a latex cell structure that will have a much shorter life in comparison to a high quality latex mattress. Our certified 100% natural latex mattresses are composed of a network of millions of ultra micro cellular structures, distributed across the whole block of latex used to make your mattress. Made possible using the latest micro vent technologies, we believe this structure to be essential, as it promotes the natural breathing of the latex and generates longer product durability. 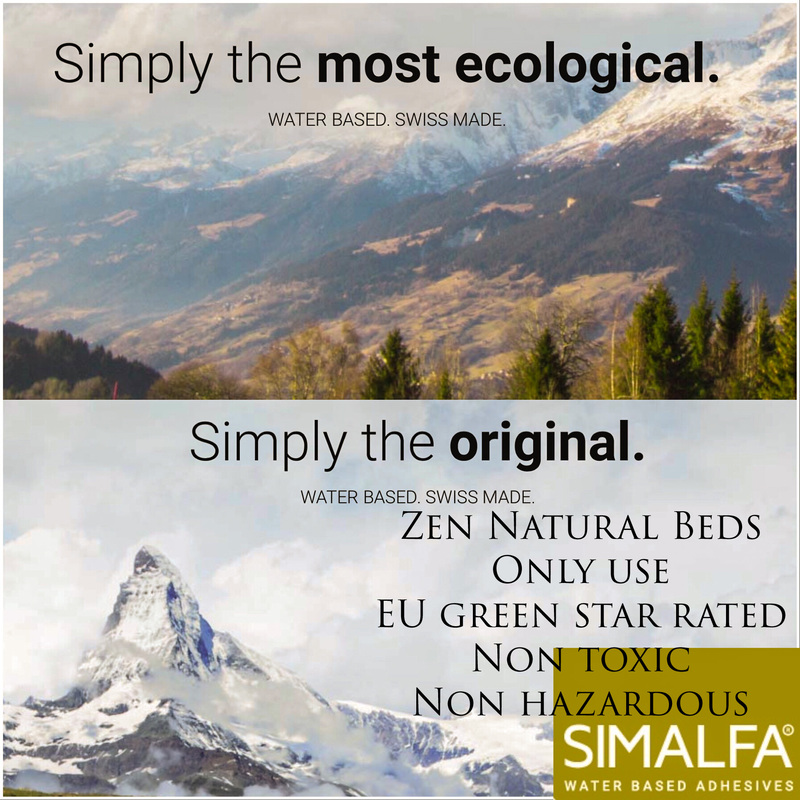 If, we use glue, we very sparingly, will only ever use, SIMALFA COMPANY, Made in Switzerland, European Standard Green Star Rated, natural liquid latex, water based, non toxic, made with no harmful chemicals glue. We can of course use, no glue, if you prefer.